In October 2013, the Asian Development Bank (ADB) approved a regional technical assistance (RETA) project to support demand-side energy efficiency (DSEE) investments in selected developing member countries (DMCs). Under this RETA, Econoler, in collaboration with CLASP, was hired to develop a DSEE policy and capacity-building activities in Indonesia and Sri Lanka. The initial programmatic themes identified for DSEE projects included: (1) refurbishing public buildings and municipal lighting; (2) retrofitting high-energy-intensity industrial businesses; and (3) upgrading metering systems for electric distribution utilities in preparation for a transition to smart grids. Major changes occurred during the project inception phase and a new scope of work was defined with specific activities planned for each country. Key activities included: (1) creating an enabling environment in DMCs for increased investment in DSEE, (2) initiating projects that could be replicated to scale up ADB investment in energy efficiency, and (3) strengthening regional DSEE knowledge networks and enriching benchmarking information. Work included raising awareness and promoting an understanding of the EE activities that already got underway in each country, whether they were domestically initiated or supported by other development partners. To achieve the project’s goals, specific activities were carried out in each country. Following the new ESCO regulation developed by the country, a workshop was held to build capacity for (1) concept development among ESCOs, (2) obtaining a suitable MOU signed with the client to implement the identified Energy Efficiency Policy (EEP) or pay for the investment grade audit (IGA); and (3) documenting, compiling and reporting the results of walk-through and detailed audits and transforming them into IGAs that can be funded and implemented by an ESCO under Energy Savings Performance Contracts (ESPC) arrangements. Reviewing nine IGAs developed by two local ESCOs and providing feedback and helping them improve their work on future IGAs. Assessing how the MEMR and other government agencies could improve the coverage, and data quality of the mandatory reporting system of large energy users. Analyzing the current situation of three high-growth sectors (airports, data centers and malls). The analysis examined (1) the market shares respectively accounted for by these three building types in the total building stock in terms of their floor areas and energy consumption, (2) their energy consumption profiles, and (3) their growth projections. The analysis also looked at the energy efficiency measures applicable to each of the three building types, and estimated their potential for energy savings that could be achieved by employing ESCO models. 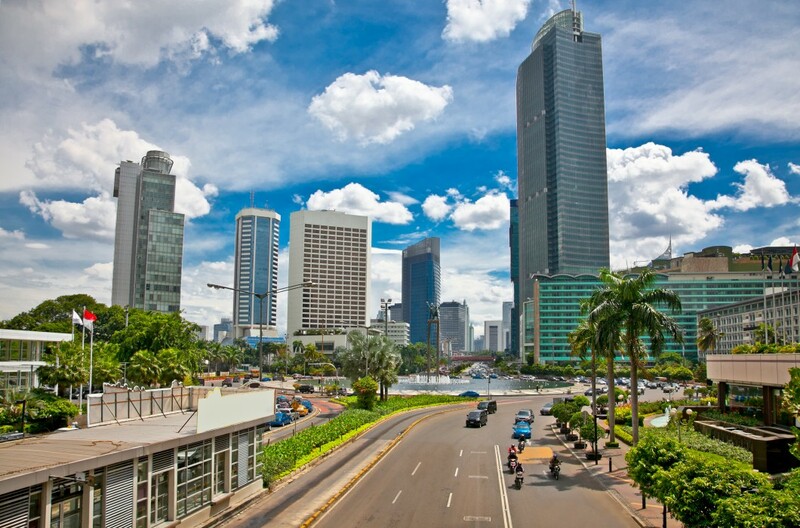 Updating the energy efficiency requirements of three Indonesian National Standards (SNIs) that provide the methods for calculating heat gain (OTTV), and lighting and HVAC energy use in the buildings sector. Assessing the status of adoption, implementation and enforcement of energy-related SNIs in relevant municipalities, including a review of energy efficiency options and recommendations on actions to meet energy efficiency requirements in new and existing buildings. Assisting one municipality with its structuring and preparation of documents, methods and presentation for implementing and financing its LED street lighting using its government budget. For four products, a preliminary assessment of energy savings and GHG reduction potential was made, and preliminary recommendations on appropriate levels of Minimum Energy Performance Standards (MEPS) and labelling requirements and test methods were made. Collecting LRP data regarding all the approximately 800 above-42 kVA meters in West Province (North). Conducting a household survey with 3,000 customers to collect information on their energy use patterns and habits (including, but not limited to, electricity) in relation to appliances and equipment, end uses, and load patterns. Purchasing and installing 100 three-phase and 400 single-phase meters at the premises of customers selected in the sub-42 kVA category (sample drawn for the household survey) to collect detailed load profile information over a period of at least one month. Analyzing load profiles and developing typical and overall load profiles for the major customer categories in the West Province North area. This activity was then used as a demonstration activity and an opportunity for hands-on reality-driven training for CEB staff (four training sessions).